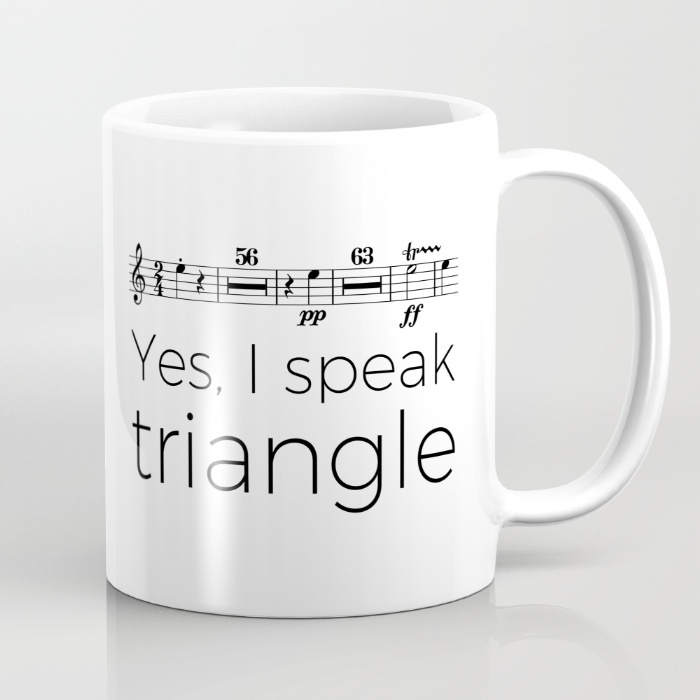 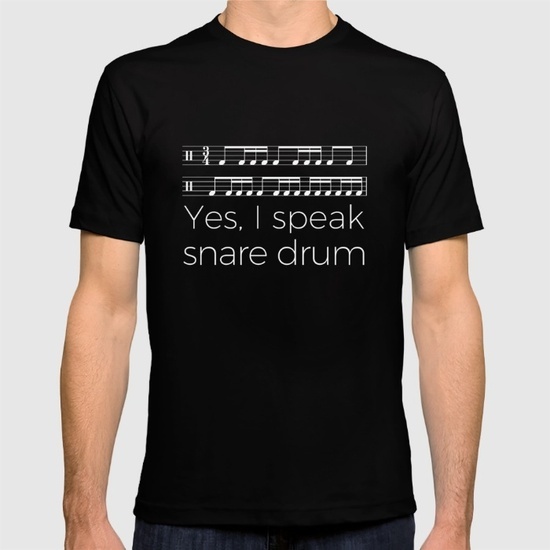 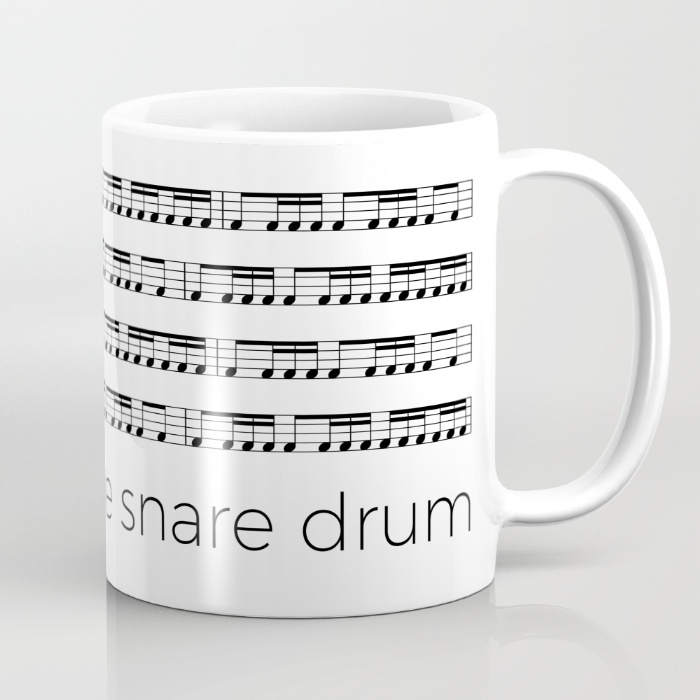 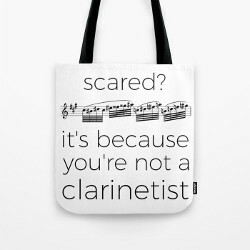 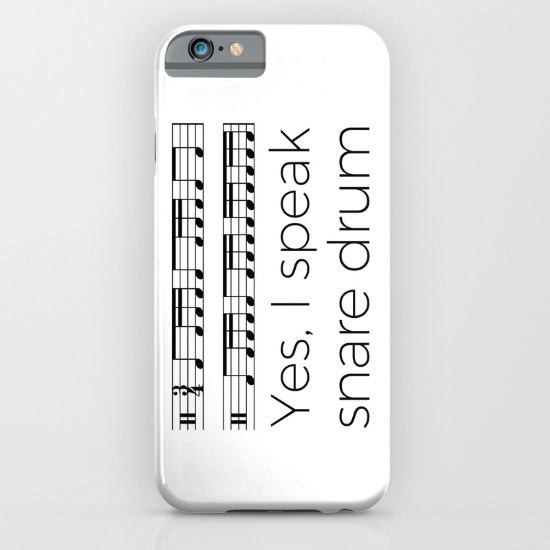 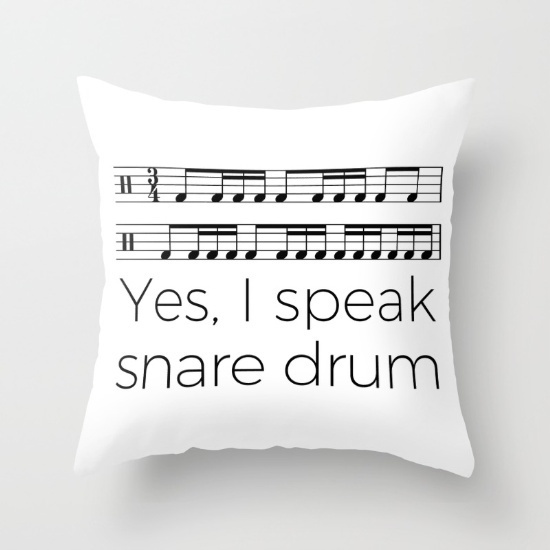 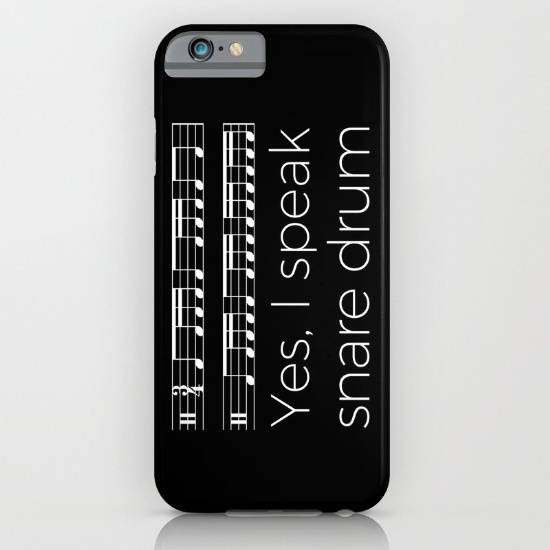 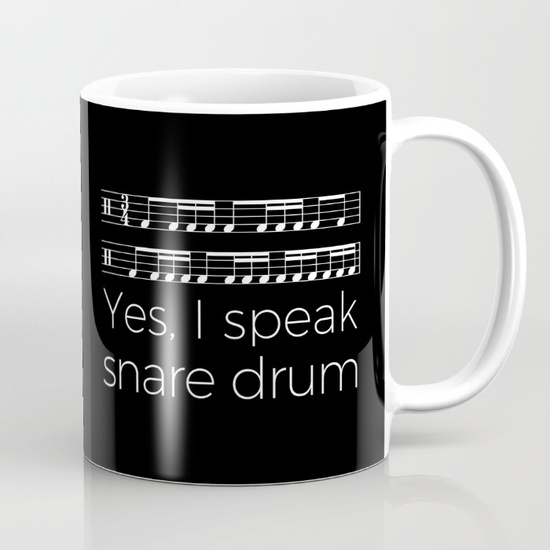 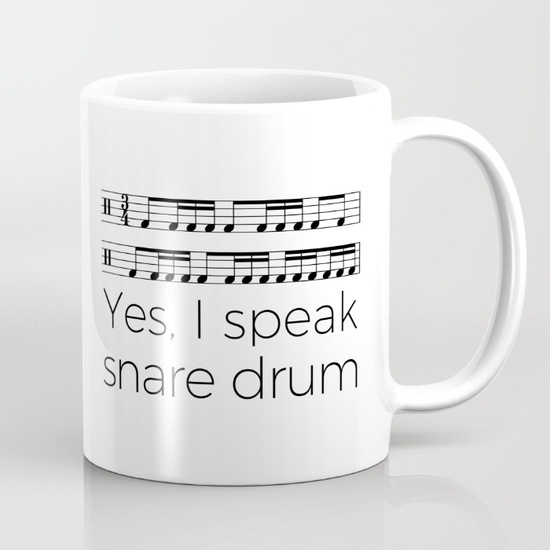 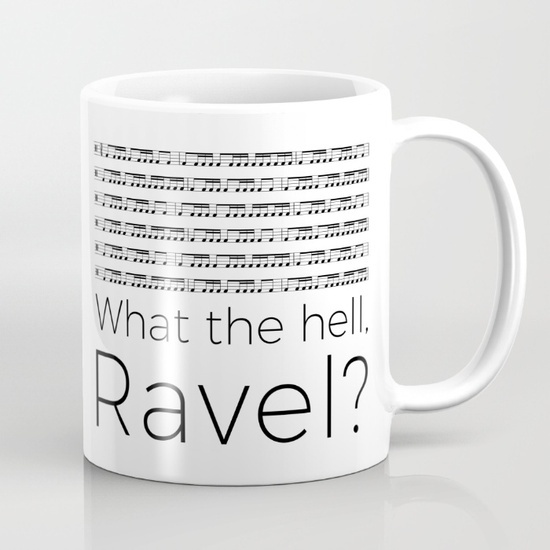 Here is some “Yes, I speak snare drum” stuff to give as a present or to purchase for yourself! 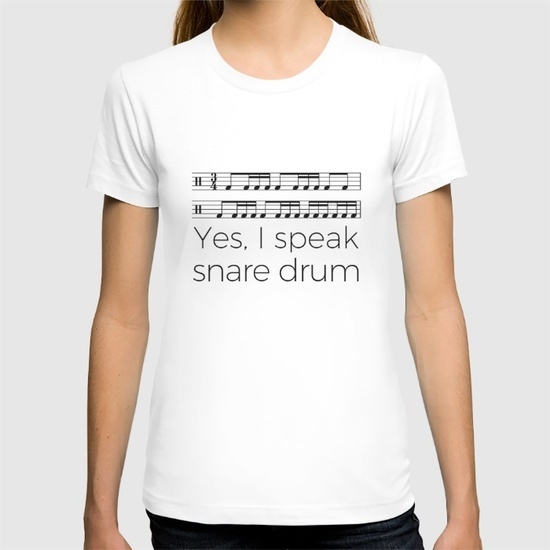 T-shirts are available with various colors and shapes, for men and women. 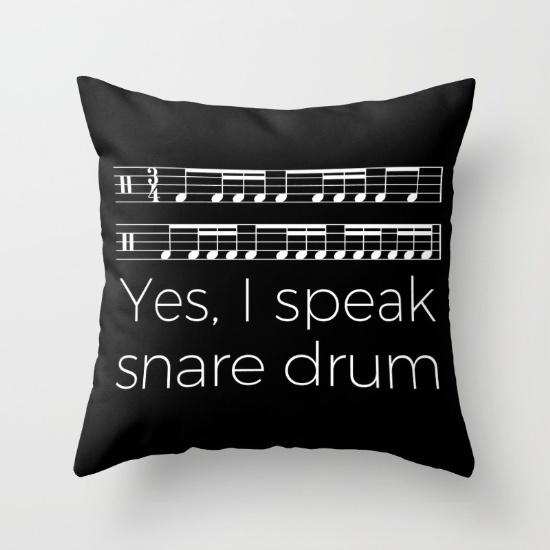 Click on the pictures below, then make your choice!